CNS (Citizen News Service): Air pollution is an invisible killer: Denial will cost lives! WHO says “Many cities in the world, including some expected to be among the most polluted, do not collect information or report on its ambient air quality.” Similar news comes from India where unmonitored cities had much higher air pollution levels than those cities that came under the radar for monitoring air pollution. 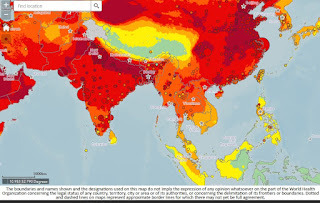 Not surprisingly, countries, such as Thailand, that share air pollution data in a spirit for collective action and shared learning to ensure that citizens breathe life (read clean air), get noticed.